Andy Royston writes about the songs that made New York. 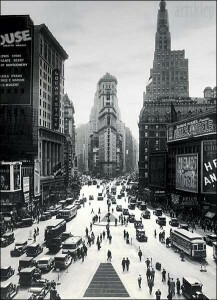 Times Square-New York City-Vintage Black and White, Photography Poster Print. I’ve lived my entire life watching New York, reading New York, listening to New York. I’m stuffed to the gills with F. Scott Fitzgerald, John Dos Passos, and Ayn Rand. With Langston Hughes, James Baldwin, Hubert Selby Jr and Mario Puzo. I’ve watched the city through the great Hollywood movies and listened through the transistor radio. Because of this I feel that I know the city well without ever having lived there. New York has long been considered the capital of music thanks to the song factories along Tin Pan Alley, along West 28th Street between Fifth and Sixth Avenue and at The Brill Building. Here music was a hard-scrabble business created partly by the consolidation of song publishing and was populated by salesmen and songwriters, vaudeville and Broadway performers, musicians and song pluggers . 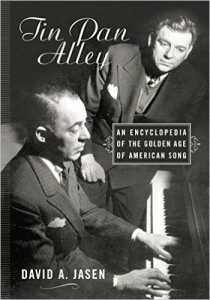 Tin Pan Alley perfected the technique of the great American song – Jerome Kern, Irvin Berlin and Cole Porter and other great composers learned to include snatched conversations, turns of phrase and everyday speech, creating songs that we could all identify with. These were hard-nosed businessmen (A good song is a song that sells, said Irvin Berlin) yet their work, full of wit and artistry lit up Hollywood musicals and Broadway shows. Many sound as fresh today as they did back in the smoke. Among the pluggers was a teenage George Gershwin, banging out songs, recording and arranging hundreds of tunes – few under his own name – learning his craft and making his first ripples along Broadway. Rhapsody in Blue was written in a hurry, as commissioned by bandleader Paul Whiteman. 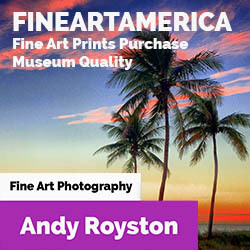 Its title was inspired by an exhibition of James McNeill Whistler paintings, and was completed just eight days before its premiere. Gershwin himself played the piano part, which was the only musical part not written down. Gershwin improvised part of his solos and wrote out the piano part after the performance. 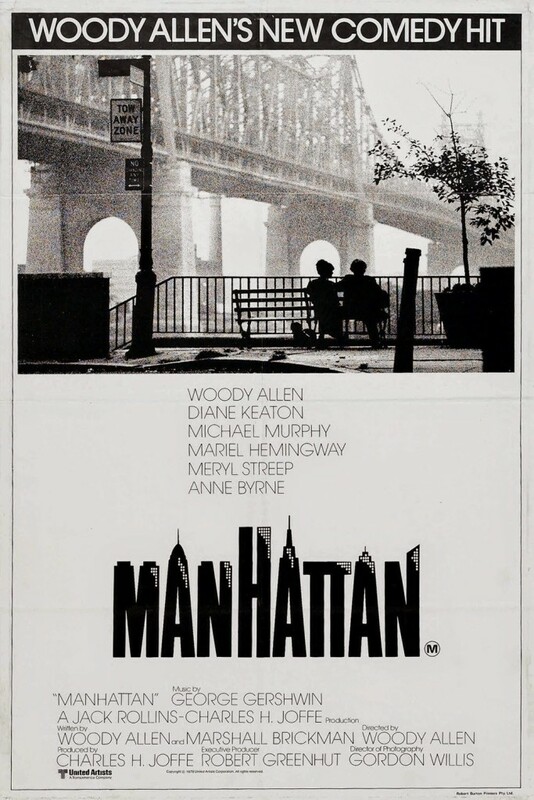 Gershwin’s musical kaleidoscope was memorably filmed by Woody Allen in the opening sequence of Manhattan. A corny backstage musical starring Mrs Al Jolson, Ruby Keeler, choreographed by Busby Berkeley and presented as a Broadway show. Amazingly it took until 1980 before the screen musical actually made it to the stage. The story’s nothing special – a lead actress breaks her leg and the understudy must go on for opening night. Yadayada. The songs may have been sparkling, and Ruby Keeler put on a star turn, but Busby Berkeley, the choreographer was the real star of the movie, his set pieces remaining long in the memory. After the tremendous success of The Jazz Singer, talkies and particularly musicals were a smash. 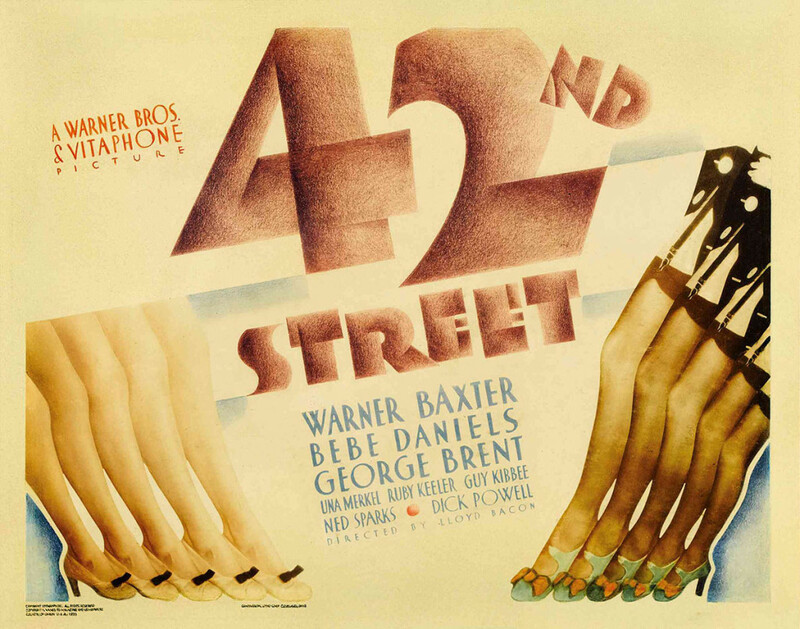 42nd Street was a winner not least because it didn’t shy away from the fact that a depression was going on. From a personal point of view this was one of the first movies to bring New York City right into my life. As a kid who had rarely visited any kind of city, I identified the trio’s goofy attitude as they arrived, gawping up at the buildings. When I made it over to see the skyscrapers first hand I was exactly the same. One of Rodgers and Hart earliest hits, partly thanks to it featuring in a very early talking picture Makers of Melody made in 1929. This sweet song sings of the delights of a young couple in love, blissfully unaware that their New York delights are some of the cheapest things the city can offer. Here beautifully sung by one of Broadway’s top draws, Ruth Tester in her only movie appearance. By the mid thirties the Big Band era was in full swing. Benny Goodman, Duke Ellington, Jimmy Lunceford and the Dorsey Brothers played beautifully crafted melodies. Vernon Duke, a Russian emigre veteran of Serge Diagalev’s Ballet Russe, wrote Autumn in New York” as a sequel to his earlier hit April In Paris. It was not until the 1950s that the song became a jazz standard, in part because of Sarah Vaughan’s recording. The song didn’t seem to have the hooks that most songs of the day had, but the song was a genuine emotional outburst and it’s likely that this honesty accounted for its growing status. Autumn in New York, it spells the thrill of first-nighting. They’re making me feel: I’m home. Billie Holiday’s take is a tender and gentle one, with the added touch of Oscar Peterson on the ivories. I’ve written at length about Take The A Train here – This 1941 recording, led by the trumpet of Ray Nance and Ellington’s gorgeous solo piano four bar introduction is just sublime. Plenty of musicians took this song into the studio but none came close to the Duke immaculate first recording of a song written by his protege Billy Strayhorn. They were building the 6th Avenue subway at the time, and they added new trains, including the D Train, and it would go to Harlem and 45th Street, and then turned off and went to the Bronx. The A Train kept going up to 299 and something street. People got confused. So I was writing directions – Take the A Train to sugar hill. The D Train was really messing up everybody. I heard so many time about housewives who ended up in the Bronx and had to turn around and come back. Billy Strayhorn. This 1977 song jumps the list by virtue of it being so indelibly linked with one of the city’s favorites, Frank Sinatra. 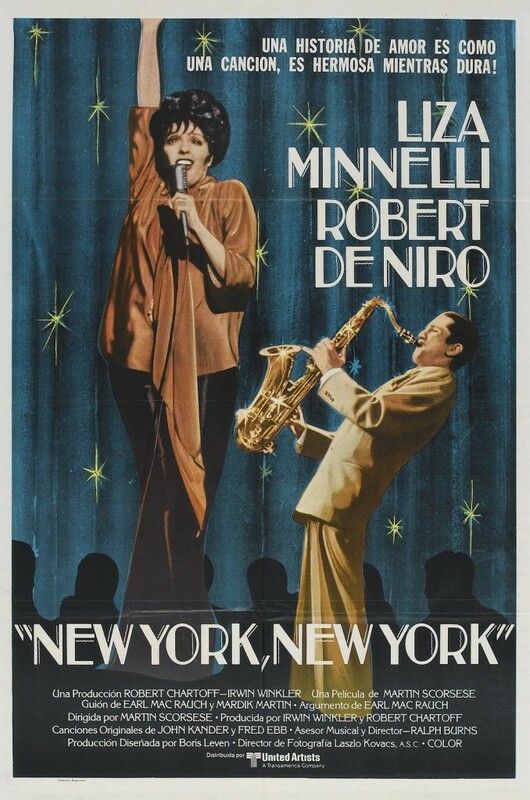 It was, improbably written for a Martin Scorsese movie of the same name, and performed by Liza Minelli. The songwriters attribute the song’s success to actor Robert De Niro, who rejected their original theme for the film because he thought it was “too weak”. It was Frank that made the song a smash, performing it nightly at his Radio City Music Hall shows, though Liza’s rousing performance at a New York Mets game (the first pro-sports event after 9/11) placed her in the pantheon too. Meanwhile over at the Yankees New York New York by Frank is played after every win, while Liza’s is played following a defeat. Written by Jerry Leiber and Phil Spector for Ben E. King’s first hit away from The Drifters, a group he had led to stardom. Mike Stoller, Leiber’s long time song writing partner said that the song was recorded in the same session as another Ben E.King hit, Stand By Me. Spanish Harlem is a masterpiece of urban soul. His immaculate vocal, filled out with Spanish touches – a marimba, castanets, tambourine – and a lush orchestral arrangement made this an instant classic. It was a song that meant a lot to King personally. His father operated a luncheonette in the city and he had grown up in Harlem’s streets. Bob and Earl were previously were members of Los Angeles vocal group The Hollywood Flames, and Bob had himself a huge solo career as Bobby Byrd. The song wasn’t entirely original either, the arrangement was based on Slauson Shuffletime (named after a boulevard in Los Angeles) by another Los Angeles singer, Round Robin. Not taken especially seriously at the time, the song sparked off a range of cover versions led by Booker T and the MGs and most famously the Rolling Stones. 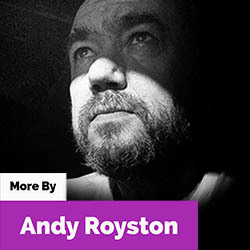 The song found an unexpected lease of life due to its popularity with the UK’s Northern Soul scene, and half a decade after it was originally released ‘Harlem Shuffle’ became a hit. The sudden arrival of American imports in ’69 had given DJs and collectors a goldmine of material for all-nighter playlists. In a way the song is as connected to Los Angeles and Lancashire, England (home to Northern Soul’s legendary venue the Wigan Casino) as it is to the inner city neighborhood it is named for. On Broadway was a song originally destined for Phil Spector’s girl group The Crystals, and it did find its way onto their debut LP. 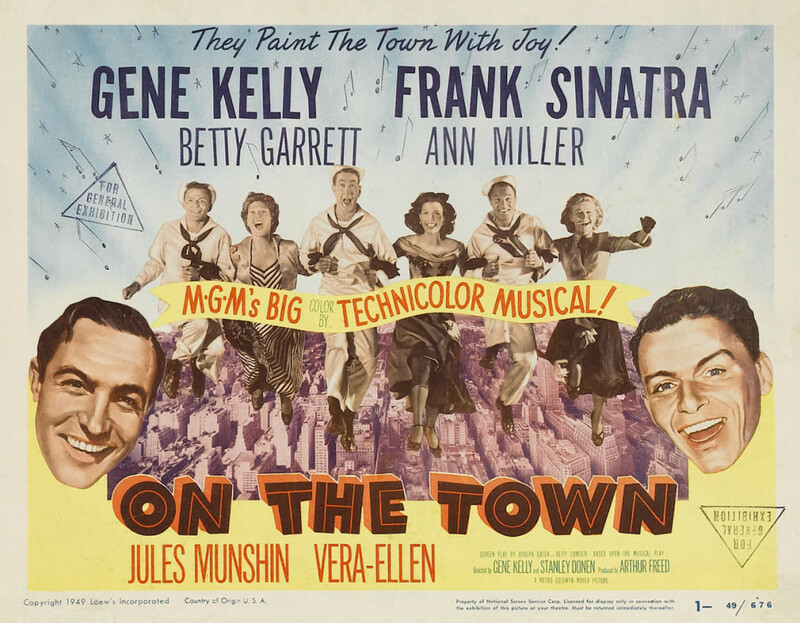 The theme of the song was a girl coming to New York from a small town to make it on Broadway. When Leiber and Stoller heard it they re-worked the song for The Drifters and added a twist or two to the songs strucure. The re-worked arrangement seemed to change the theme slightly to one of disillusionment and determination. The singer might just as easily get back on his Greyhound bus a failure as he would fulfill his dream of stardom. By the time that George Benson gave the song its legs the song was already a memorable hit – It represented faith in talent and in the big dream – as meaningful to the busker on the street as it is to the starry-eyed talent emerging into the sunlight from a bus at the Port Authority Terminal. And speaking of a Greyhound bus, New York State of Mind was written on a Greyhound out to Long Island. Joel had arrived back in the city after four years trying to make it on out in Los Angeles. He played his most moving rendition at the 2001 America: A Tribute to Heroes telethon,concert in New York, in the aftermath of 9/11. He played with the helmet of a fallen fireman, who died on duty at the World Trade Center, on his grand piano. In the next part of my Songs about Cities : New York I will be taking a different perspective, and focussing on the final quarter of the 20th century. Look out for songs by Velvet Underground, The Last Poets, Bobby Womack, Stevie Wonder, Tom Waits, Grandmaster Flash and more. George Gershwin’s – Rhapsody In Blue is my favorite music in Gene Kelly’s Ballet An American in Paris. Great job with this story Andy! My Dad had a plethora of records and the old ’78’s. We still have them! I love that old Jazz!